Your visit to Shockoe Hill Cemetery helps celebrate this national treasure, and is absolutely free. If you wish to help preserve this National Historic Landmark, we welcome volunteer assistance and/or tax-deductible donations of any amount. 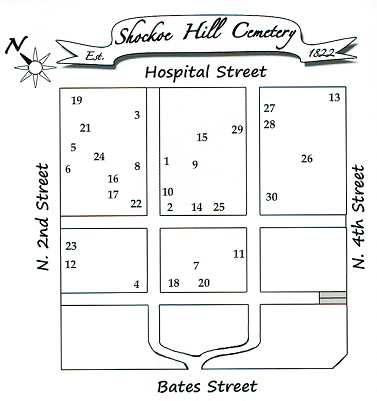 For more information, visit our Get Involved Page or Donate Page, or contact the Friends of Shockoe Hill Cemetery. Visitation hours are from dawn to dusk seven days a week. The main entrance is the east gate on Hospital Street, which is open daily. The Bates Street entrance is used for most special events, so you may be directed to that gate on occasion. Parking is available along the side of any of the streets inside the cemetery. Please be mindful that some monuments are located close to the edge of the road.